Great thread. 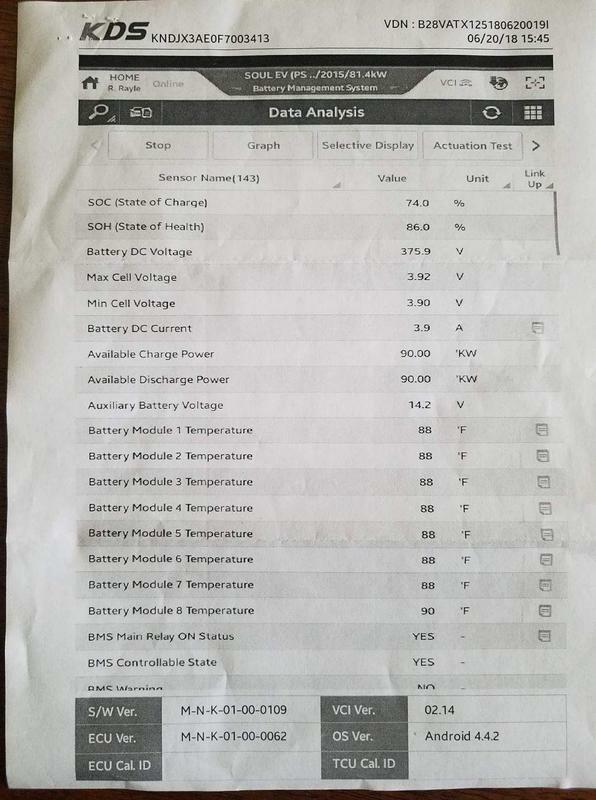 Our 2015 Soul EV is at ~44kmi / 50% - full charge = ~50mi. How long does it take to replace? We were told ~6 weeks. Will ask for SOH and present warranty of 200kmi/80%. Thanks! Good Luck. And please post again when you get the info from Kia. The reading you want is the SOH. Seen here on a car from Texas. 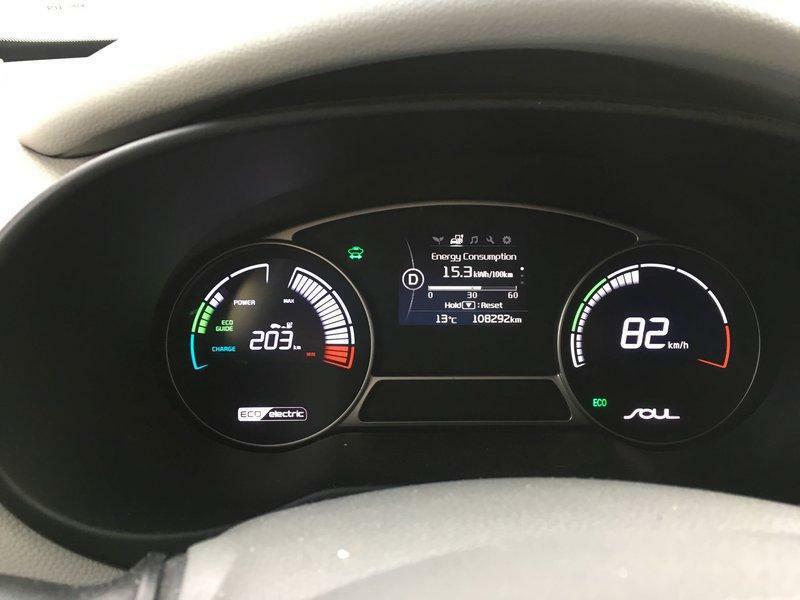 ...2015 Soul Ev with 38k miles. Currently full charge is 80 miles and 4.1-4.3 mi/kwh. A lot of the best results for minimal degradation are coming from France. He talks of SOH = 90% before a battery reset. In this one, the blue dots are readings from GDS/KDS at Kia service. The Min deterioration value sometimes jumps down to unrealisticly low values. 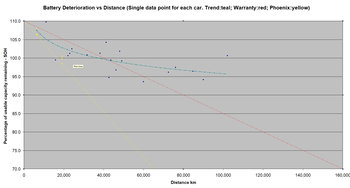 I think this is also seen in data from other cars. Note that the data points in the graphs above represent ALL deterioration changes since I started collecting them - for example, the lack of data during more than 3 months this winter is not because I didn't read it, but because there was no changes during that time. The car is driven "normally", ie not babied, but not pushed either, and as you can see does around 50 km/day. I generally stick to the 80/20 rule and occasionally charge to 100%, almost exclusively on a L2 charger. My Kia Soul EV is almost 4 years old (26 August 2014) and had a check at the garage (85.000 km) here in the Netherlands. I asked for a KDS State of Heath readout. 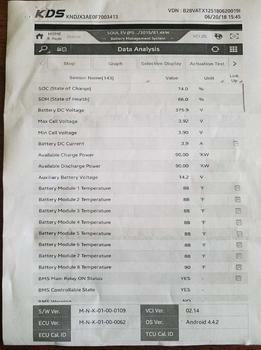 The SOH% was reported as 94.2%. With Torque i measured 5 days ago a value of 96.45 (Avg Det 13.6, Max Det 14.6, Min Det. 12.5). 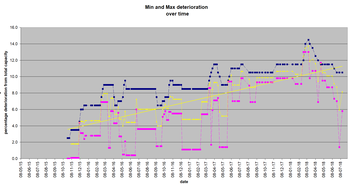 My BMS was updated, so my min and max deterioration values are again at 0% (second time). So I cannot compare exactly with the SOH readout (I did not measure with Torque just before I left the car at the garage). 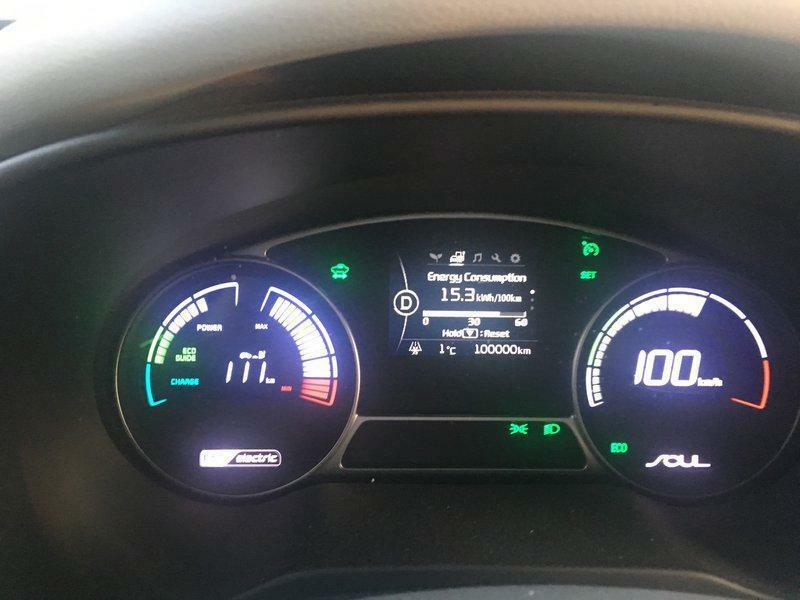 The SOH readout of almost 2 years ago (9 November 2016) with 40.000 km driven was 96.4%. So a loss of approx. 2% for 45.000 km. I bought the car one year old with 10.000 km driven and with the first readout of Torque it already had 10% battery degradation. So it looks like the battery was not so well nursed. In the Netherlands the warranty is 7 years or 150.000 km and 70%. Thanks for the new data. Good to see all cars here are doing so well. My 38 month old car is at 48,000km and 102% SOH. I have never had a BMS reset. Yes. Mine for instance has always shown this behavior. It did a particularly extreme spike down in the Min value just last week. The Max values are blue, Min values pink. Yellow is the average of the Min and Max with a trendline sloping upwards. I measure every 250km regardless of whether the data changes or not. 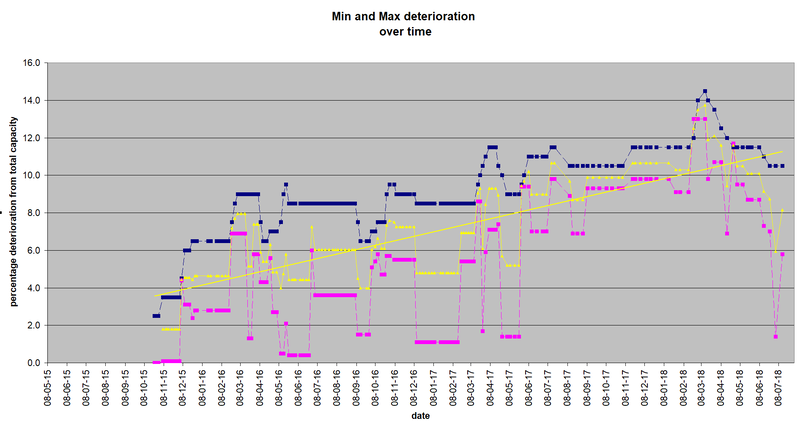 Here is a graph showing the deterioration data of 20 different cars that have posted on this site. One point for each car. The blue dots / teal trendline. This seems to be a curve where more deterioration happens in the first six months before leveling off. But - for perspective I show the warranty line (red) and the Phoenix data (yellow). It has been reported that 14 out of 14 Soul EVs in Phoenix Arizona have required a new battery in their first 3 years. Should I worry? I get around 150 km on the GOM at a full charge. Also, I believe there is an optional battery heating kit which can be installed on these vehicles - anyone have any experience with them? I'm curious too about what is stock, any heating at all? I understand the cooling is with fans - not liquid cooling, so I assume heating is via some kind of thermal blanket, or....? I have other questions and will post in the appropriate place (I hope). Jim, no Soul EV sold in Cali comes with a battery heater. Not sure what's offered in other US states, but I do know it's standard up there in Canada. No idea if the battery heater can even be installed aftermarket. AFAIK, there is no stock heating or cooling. Everything is done through sucking in ambient cabin air into the battery pack using the fan in the hatch. As with extreme heat in AZ, extreme cold below freezing in Canada is not a good idea for the Soul EV.